Grogan & Brown Artisan Butchers differs from some traditional butchers, and in particular, differs from supermarket butcher counters in that we control and select our suppliers prepare our own meat products through processes like dry aging our beef, dry curing bacon, hand making our own meat products like sausages & burgers. 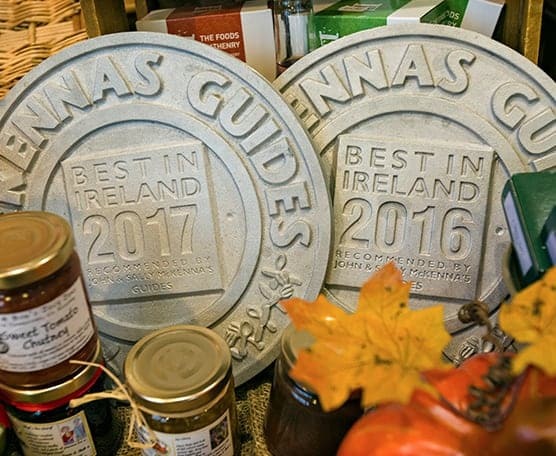 Indeed we feel that McKenna Guide best describes the G&B shop in their review describing the shop. Here at G&B we epitomise the older more holistic values of meat production and care passionately about the food we produce and believe that only good food can only be the result of good animal husbandry, good butchery and good cooking!. We are selective in sourcing our meat and firmly believe that how meat is processed has a major impact on the final character of the meat. Sourcing the majority of our meat from established Kilkenny farms, we support local & regional farmers who share our commitment to husbandry, welfare and outstanding quality. Ultimately, we know, trust and respect the farmers we buy from. 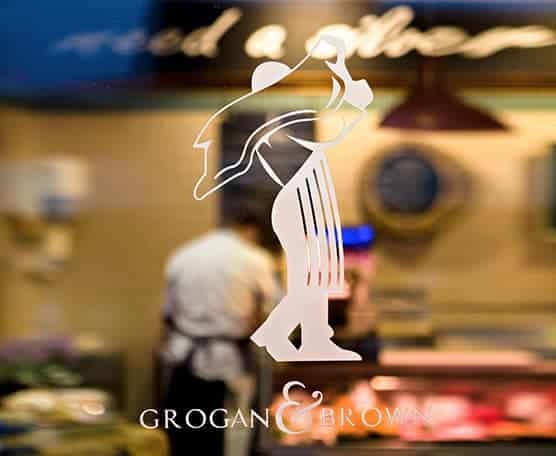 There is pride in the Grogan & Brown ethos of going ‘above and beyond’ for our customers; whether it is something as simple as helping a customer with their bags to the car, or just taking the extra time to prepare a roasting joint with the care and attention that the livestock deserved. When you come to Grogan & Brown you know you’ve made the right choice.